We all need a little reinvention from time to time. As my humble little blog moves into its third year of existence, the decision has been taken to give it a long overdue makeover. If I have not said thank you for reading for a while then, let me say it now. 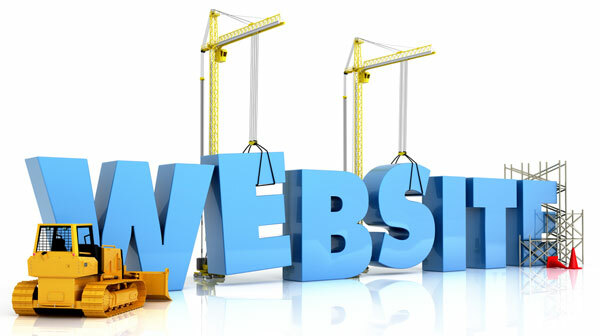 A major (and tricky) part of this re-design was re-naming the site. Formerly makingpefizz.com, it has now been modified: makinglearningfizz.com. After tracking the content of posts it became clear that learning and leadership dominated the themes of most posts, albeit through the lens of my beloved learning area Physical Education. In future posts, I predict learning and leadership will continue to dominate, but I have no intention of leaving out my weekly PE experiences. In my role as Acting Deputy Head this year, it would be fair to say I have not had the opportunity to blog as much as I would like (the old “no time” story, but that’s for another post). In truth though, my blogging hiatus has been a little more deliberate. I knew the site needed a new direction and I wanted to ensure I had carefully considered what Blog 2.0 should look and feel like. It led me to plenty of research and I have engaged in a super-global-blog-safari which has been an extremely enriching experience. Looking globally at some of my favourite edu-thinkers has also been a huge inspiration and has led me to a clear vision for what I’d like to bring to these pages in the future. I am already excited about some of the projects in the pipeline and I am committed to creating and reflecting on a more concise and regular basis- starting today! Let me know what you think and stay tuned for more coming soon! I can remember the moment vividly. I was standing at the top of Mount Buller in the Victorian Alpine region, during the Vic Inter-schools Snow sports Competition, waiting some of our kids to compete in their skier cross event and I took a peek at my phone messages. To say I was on top of the world is true in more ways than one. I have to admit though, my first reaction was “there must be some kind of mistake!” I was up against Andy Vasily, Nathan Horne and Ash Casey as a finalist, so how on earth could www.makingpefizz.com have won? If I’m really honest, the shock of being nominated as a finalist was almost as memorable, I awoke one morning to a barrage of twitter messages, which is unusual for me! Anyway, as I hopefully conveyed in my virtual acceptance speech below, I was, and remain, truly humbled and honoured for the site to have some acknowledgement from the #PhysEd community. So how to repay this? A huge part of any development and improvement I experience as a teacher, learner, blogger and as a person is down to the contribution and investment in me by other people. I honestly believe this, and since connecting online (and in person) with a host of global, inspiring, smart and passionate educators I have been very lucky to be part of professional learning, conversations, projects and friendships that have helped move me forward in many ways. Three of whom were nominated with me as finalists for the award. In my opinion, I would have come a very proud 4th and here’s why. I remember when I first found Andy’s blog www.pyppewithandy.com I was like, “this guy is INSANE! It was like he had collected the worlds most valuable stories about teaching #PhysEd and started a website on this theme. The only thing is, they are HIS experiences. I couldn’t stop reading. Fast forward 18 months, many conversations, emails, google hangouts and viber 2-ways. there I am standing beside him, teaching PE together, to his classes, in China. See what we got up to here. Now if that doesn’t demonstrate the power of connection, I don’t know what does. I learnt so much on that trip and continue to do so from Andy every day. Andy was last year’s best blog winner and took out the top contributor award this year. Nathan is a #PhysEd genius. I genuinely mean that. The way he thinks about hacking #PhysEd makes my brain hurt. He also just happens to be a really great guy. Often I’m asked to present workshops about IT integration in PhysEd and even after hours of prep I often feel a little underprepared. The reason is because I know about the kind of things going on in Nathan’s gym. 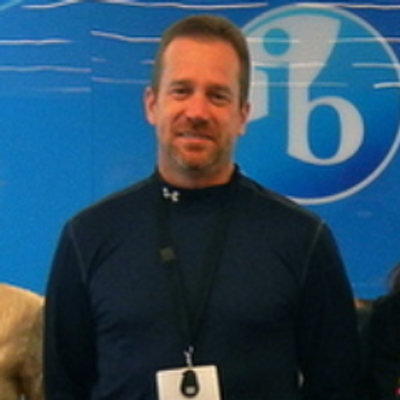 He has this amazing blend of IT knowledge and a deft touch for its application to PE in the most meaningful way, especially when it comes to inquiry learning. If you think you are tech savvy, you need to connect with this guy and you’ll probably find there’s another level. The most impressive thing is that he learns most of the stuff by himself simply by being a great problem finder/solver, huge amounts of tenacity and a desire to never stop trying to make things better. And he is a perfectionist. I had the great pleasure of meeting Nathan for a day as he travelled through Melbourne last year, we hung out for the day enjoying our favourite Australian craft beers, and talked about PE for hours. I could have talked to him for hours more. While I have not had the opportunity to meet Ash in person, his work has always impressed me greatly. As a lecturer and teacher of pre service teachers, I feel that the students graduating out of Loughborough University are in wonderful hands and most likely prepared better than I ever was. Most of what I have learnt about teaching, and teaching PE, has been learnt on the job and by connecting with other people. By reading Ash’s brilliant and informative blog www.peprn.com (theres also his podcast) I feel like he genuinly understands both sides of the acadamic- practitioner perspective. As a result he inspires me to connect more with evidence based research and challenges me (and plenty of others) to continuously reflect on, question and critique our own programs and practices. His work and views provide a compass for best practice. 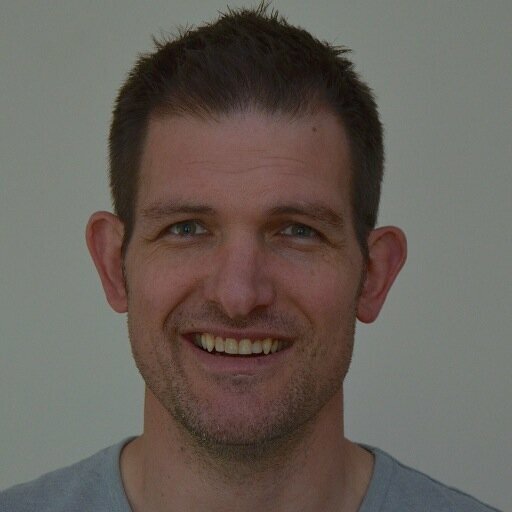 He has been able to engage in what I would term “big brain thinking” whilst managing to build relationships with teachers from around the world to help generate a better future for #PhysEd. I hope to connect in person with Ash one day, I have a host of questions ready for him! 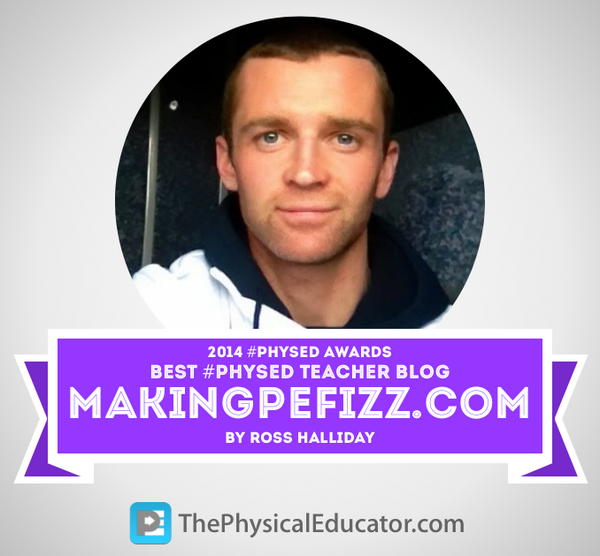 So given my perspectives on the above #PhysEd superheroes, you can hopefully appreciate what a wonderful, yet unexpected, experience it was for me to win best blog of 2014. 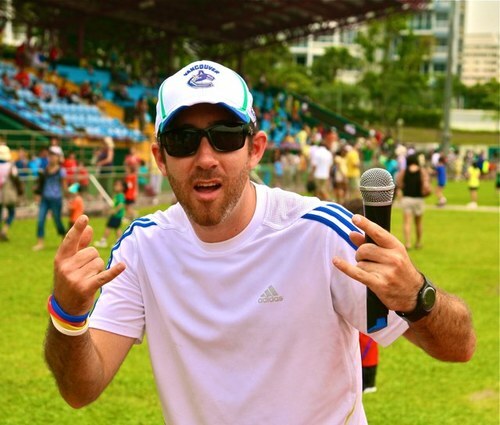 I cannot finish the post without offering a huge thank you to Joey Feith the man behind the awards at www.thephysicaleducator.com Joey works tirelessly to “raise the bar” in #PhysEd. He is the ubiquitous face of global #PhysEd. How he manages all of the things he does is a mystery to us all (he teaches full time of course too), but I sincerely hope he continues to contribute for the long term because his work is having serious cut through. I thank all of you for reading, voting and for being a part of this amazing community. Our (high school) graduating class of 2014 started prep in 2001. You don’t need me to tell you that 13 years ago, the world was a very different place. 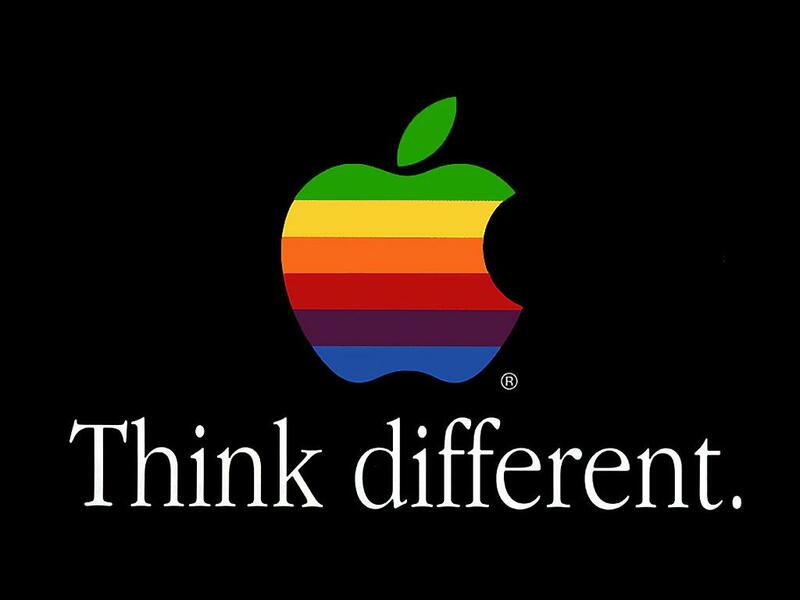 Indeed as our graduating class were kissing goodbye to their parents for their first day at school, Steve Jobs and co were launching the iPod. No not the iPad or iPhone, that’s right… the iPod! Interestingly, Apple recently announced they are not making them anymore. So if you happen to still have one of those little babies, hang onto it, it’s a relic! But how does teaching compare from then until now? How do schools compare from then until now? How does education in general compare from then until now? The list goes on, click here for a further walk down memory lane. So, it begs the question. For what future are we preparing next year’s preps? And I don’t mean what are we talking about doing, I mean what are we actually DOING. In general terms education and schools haven’t (really) changed in the 150 years they have existed. Oh, hang on. I apologise. We do paint the classrooms every year and order new stationary. And I have to concede also that some schools have ICT and mobile devices, most of which are used to substitute new ways of doing the same old things. We have been able to expertly substitute the worksheet for a “game”, which is wonderful because it cuts down on marking, keeps the kids busy (and quiet) and the cherry on the top- it has flashing lights. The result is that we are “churning out” kids along a conveyor belt ready for an industrial age which has passed us by. Seth Godin, Ken Robinson and a host of others have talked a great deal about the problem (you can add my above rant to theirs, albeit less articulate). Well who is in the bloody map business then? Because words without action will lead us to the same fate as blockbuster video. Actually, I would say we’re lucky schooling as a whole can’t go out of business. 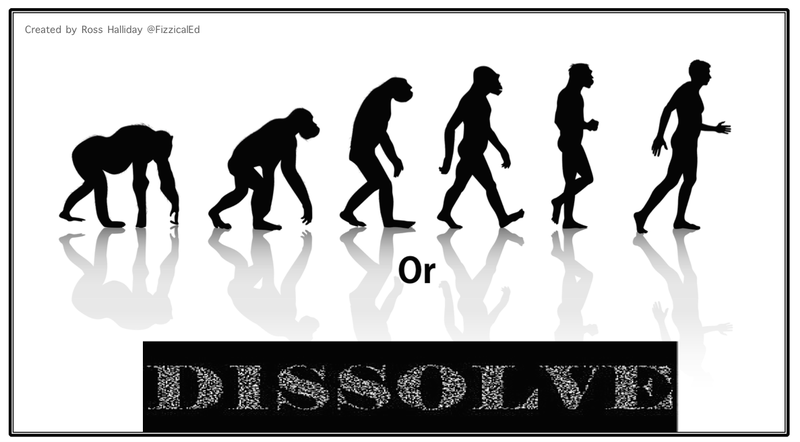 My answer…us. That’s right the teachers. 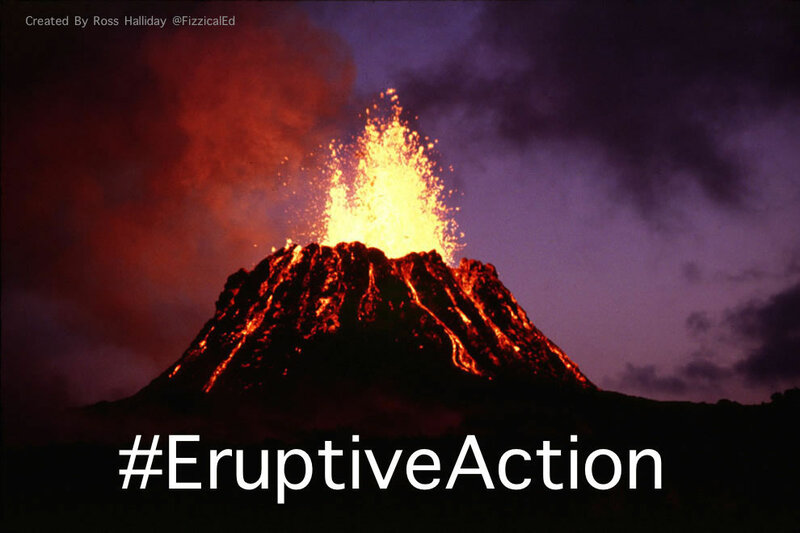 I’m calling on ‘the insiders’ to engage in some #EruptiveAction. I have created this concept from the philosophy of disruptive thinking, but have modified the term to hopefully force our ideas to become more actionable. Like a volcano, it’s not a news story if a volcano “might erupt one day”. It’s a news story when it does. I will collect and compile a list of success stories to help all of us (myself included) push for, and take, action in our school communities. I will then store and share all #EruptiveAction stories with our global community. Perhaps together we can start a 10x movement from within. Thank you for reading and thank you in advance for sharing. If we know what works, then why aren’t we doing it? Earlier this week I was fortunate enough to attend a book launch to celebrate the latest release from author and family friend Maxine McKew. Maxine is best known as the feisty politician who became only the second Australian politician ever to oust a sitting prime minister (John Howard) from his seat as an MP. Following a successful career in national politics, she has since joined “the good fight” for quality education and now spends her days as a Vice Chancellor’s Fellow at Melbourne University’s Graduate School of Education. Maxine is the tenacious type and, to use a sporting analogy, the kind of player you definitely want to be on your team. I am not writing specifically to push Max’s book, but while I’m on the subject, “Class Act” should definitely be on your school holiday reading list. Get a copy here. 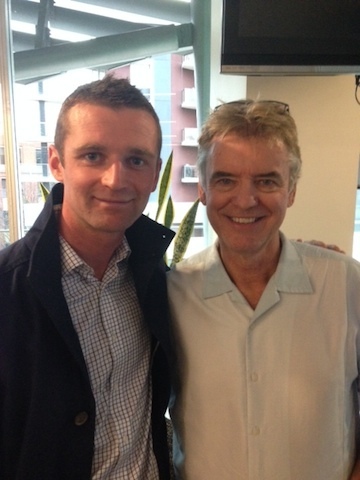 Another of the highlights of the book launch was my chance meeting with educational research royalty, Professor John Hattie. I’m sure Prof Hattie requires no introduction to those reading the pages of this here blog, but if you need to know more about the great man, read it here. 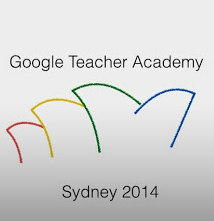 This chance meeting was serendipitous in some ways as our brief exchange collided with my current immersion challenges related to “Moonshot Thinking” for my upcoming experience at Google Teacher Academy (see previous blog post for more on that). As I reflected on Hattie’s years, and years, and years of research, I was transported not exactly to the moon, but crashing back to earth. The gap between what we know and what we do in education is astounding. Of course this is a generalisation and there are hundreds of innovative, research based, successful teachers and learning programs happening all over the place, some of which are eloquently case studied in Class Act. I consider myself very fortunate to be part of a school community that puts student learning (and thus teacher learning) at the top of the pile of priorities. We have numerous weekly encounters in which to share ideas, review student work, challenge, observe, critique, support and to simply share what’s working and what’s not. We are genuinely encouraged to ‘Know Thy Impact’ (Hattie 2012) and to prove it. As a result of my school situation and my presence as a connected educator on social media, I have been guilty of existing in what my GTA pal Claire Amos has referred to as an ‘echo-chamber’ of so-called good practice. Claire used this term in reference to our global interactions as teachers on social media, explaining that a constant affirmation of everyone thinking and acting in the same way (albeit effective and innovative) does NOT necessarily provide for progress or cut-through on a large scale. In simple terms, it’s like the world’s richest people teaching each other how to make more money. If we know what works, why aren’t we doing it? My reference to WE includes all of us, teachers, students, parents, school leaders, and even architects who design and build the places in which we learn. The whole school community has a responsibility. You will notice I left out politicians. This was deliberate. With all due respect, I’m not sure they are actually capable of making any substantial (moonshot) improvement, on the scale of what’s required, which I concede sounds strange, given that’s kind of what they exist to do. I do meant this with all due respect, I think some pollies may be personally capable, I just think that the way politics works actually prevents major and innovative reform when it comes to education. As I move ever closer to my moonshot project at GTASyd2014 I am committed, not only to thinking big and bold, but also to think about what such change, innovation, improvement on scale of 10 times might actually look like in the classrooms, playgrounds, gyms and playing fields of our school community. Before seeing the below video clip of JK Rowling’s Harvard University commencement speech, I had only ever read her fictional work. Harry Potter is a life’s work of which any writer would be proud. But it was the non fictional story of her own life, that laid the foundations for an inspirational address to Harvard graduates back in 2009. Even now, 5 years on from her speech, her advice, insights and reflections are still so relevant to the students we teach (as well as to the colleagues we work with) and I wanted to share it with you all to provide some further affirmation that is definitely ok to get things wrong. Without allowing failure to become my key objective (we never try to fail), I seem to find ways of failing a lot in my role as a teacher, especially when it comes to classroom innovation. No big deal, everyone survives. 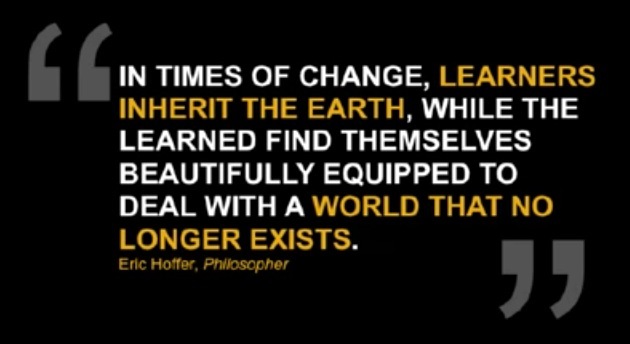 Indeed, I would say its the principal calling card of a life long learner. Having said that, I always fail safe in the knowledge that what I was striving for was something greater, more meaningful or valuable for the kids I teach, and most importantly , I/we learn from it. As teachers, we must have the courage to push boundaries, try new things and the humility to admit/ accept when things haven’t gone right. The great thing about working with kids is that they don’t mind telling you straight! Imagine having teachers modelling this and explaining innovation/failure/success to students as they go over the course of a students school life. Being courageous then becomes part of their very fabric of living and learning. Imagine a culture of innovation was the norm, like working at google.